Improve your software performance and make life easier. ✓ Identify software problem areas. ✓ Implement solutions on a case-by-case analysis. ✓ Continually improve your software automatically. Whether prior to market launch or with software already in production, we can help you detect errors and inefficiencies that hinder high performance and provide an action plan to solve them. ✓ Reduced threat of product recalls. ✓ Not having your boss breathing down your neck. Are you struggling with accountability when it comes to your software and software processes? We can help you establish accountability and eliminate the silly mistakes that cause major financial headaches. ✓ Improve communication and understanding at all levels. ✓ Monitor software development and provide key metrics. 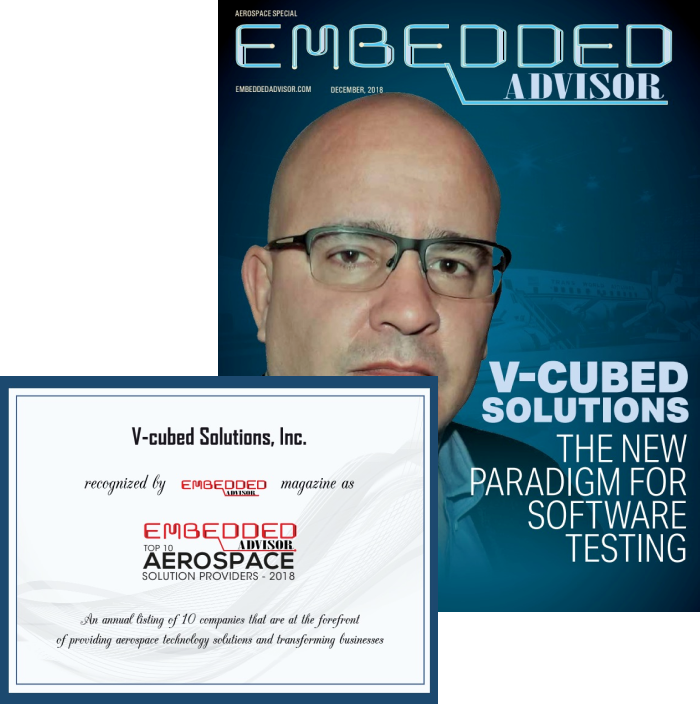 V-Cubed Solutions General Manager, Michael Mann, was interviewed by Embedded Advisor to provide his thoughts on where automated software testing is heading and how V-cubed Solutions has developed scalable, specific solutions on a per industry basis. Every organization is unique, that is why we built one of the most flexible solutions in the industry. Stress less with tried and tested software code. Implementing our first-class automated code inspections enables you to continuously detect program bugs and execute solutions. 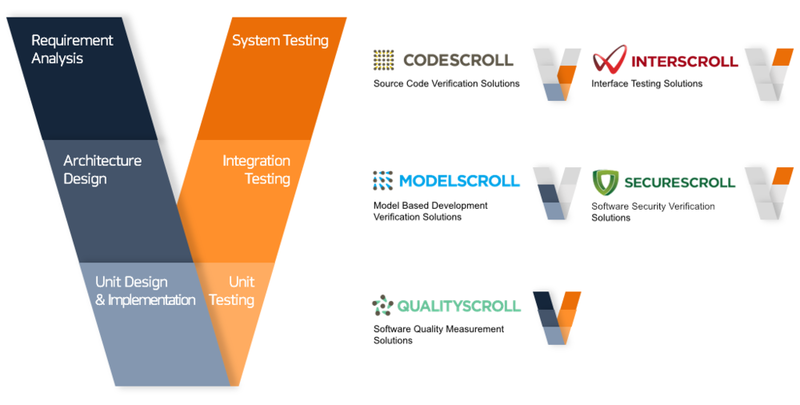 Our independent verification and validation services lead to improved software inspections and confidence when delivering your products. Minimizing defects and wasted overhead will help you drive a leaner, more efficient business that will make your team and boss happier. We implement industry specific best practices to tackle industry problems head on. Each industry has unique requirements (static analysis, unit development, integration testing) that necessitate different methods of software development and testing. We provide specialized tools for each industry based on our domain expertise. Our research department is continuing to perform R&D to not only maintain this high level of performance, but also to continue developing and supplying products that keep our customers’ software running smoothly, efficiently, and error-free. © 2019 V-cubed Solutions, a division of Suresoft Technologies, Inc.